One of the last places you would expect to find hot chocolate is in a Vietnamese restaurant, but at Cafe Lang Thang, you can have your congee and cocoa all in one stop. Brought to you by the trio that created Pho Lang Thang and Quan Hapa, Cafe Lang Thang is their latest eatery specializing in breakfast and lunch... and hot chocolate. Available in small and large cups, Cafe stirs up a thin, wispy cocoa. 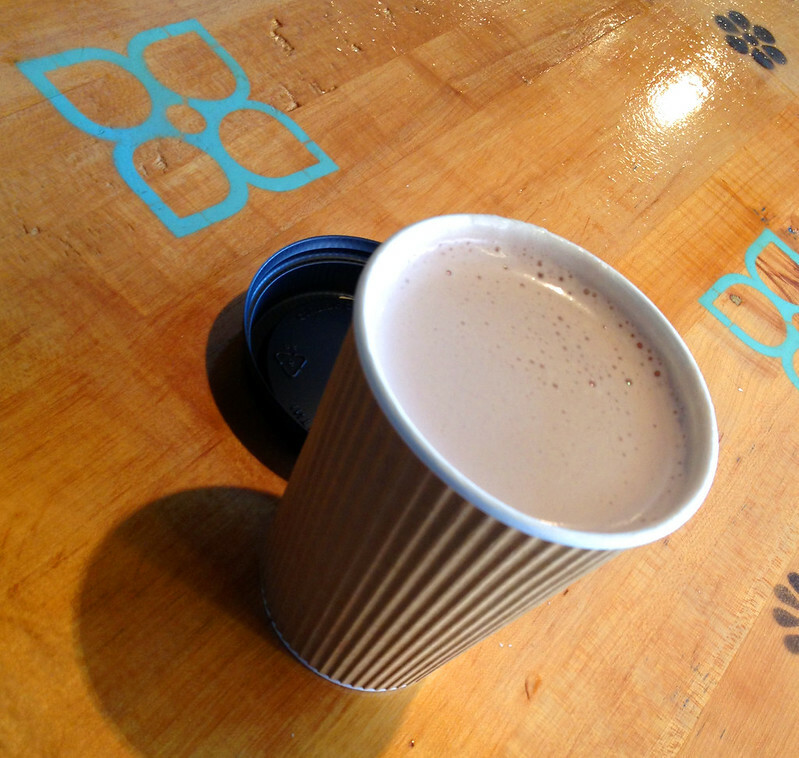 Made with milk chocolate and a smooth finish, this is the perfect pick-me-up on a cold day. Located in Over-the-Rhine adjacent to the School for Creative and Performing Arts and just down the street from Washington Park, treat yourself to a cocoa at Cafe Lang Thang as you retreat from the snow.